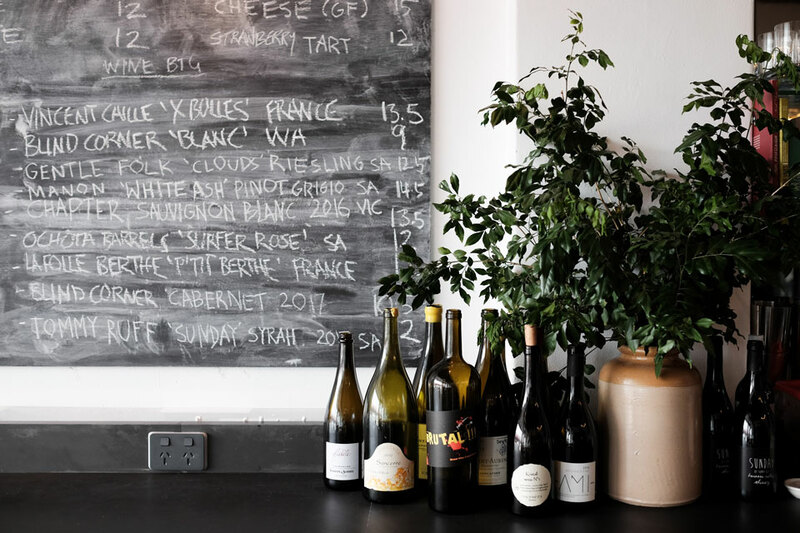 After a hiccup at the beginning, Wines of While has swiftly found its footing as one of the premier spaces to indulge in natural wines and locally sourced food. The impressive line-up of wines will keep you occupied and satisfied. Opened in August of 2018, after a lengthy struggle with licensing requirements, Wines Of While took me some time to visit, but once I did it immediately found a place among my favourite bars in Australia. Indeed, my first two times at the venue were when I bookended a stay in Perth with mid-afternoon visits on Friday and Sunday. On both occasions, I was pried out of the bar at closing time. Simply put, it’s brilliant. In the league of wine bars, the premise of Wines Of While is decidedly non-conventional. Proprietor Sam Winfield had been working as an assistant surgeon by day, but was an avid natural wine drinker and collector in his spare time. Without a hospitality background, or a ground force of swanky sommeliers, his vision was to open, run and cook(!) 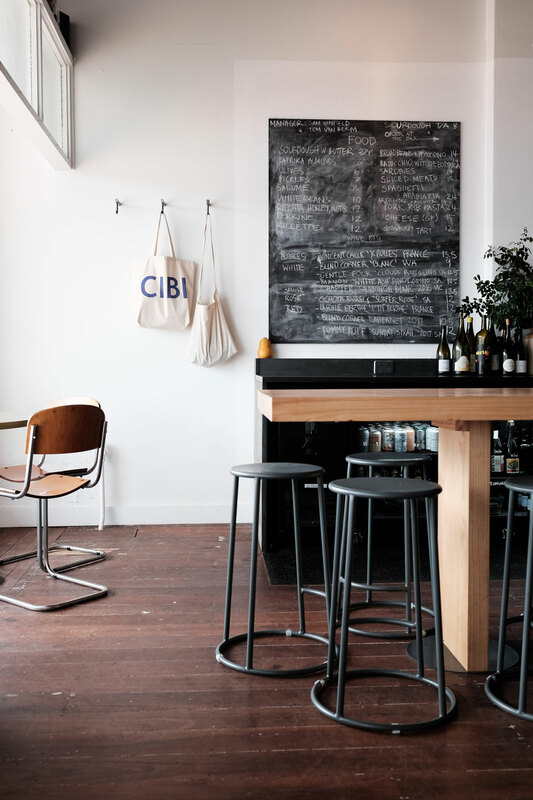 in his own wine bar, loosely modelled on places like 10 William St in Sydney and Embla in Melbourne. The focus was always to be on high quality, small volume natural wines and a menu of simplicity and tastiness. There had to be the ability to drink in or take away, and the space had to feel casual and relaxed so that the scope and scale of natural wines could be part visceral and part educational. The result, born from intuition, smarts and individuality, is stunning. The wine bar is set in a heritage building with original features prominent amongst the whitewashed walls and hand-welded steel shelving. The space flows from indoors to outdoors with two giant street-facing windows flooding the space with natural light. A long wooden bar is the focus of the interior and combines both an area to sit at as well as a service area for staff. The inherent casualness between staff and patrons is definitively part of the charm. While Winfield spends most of his time baking outstanding bread and plating up simple and local produce-focused dishes, his affable and whip-smart lieutenant Tom Van Beem is pouring from the ever-changing wine list. Winfield’s turn to the kitchen has been a triumph. His baked goods are reminiscent of the extraordinary loaves that emerge from the kitchen of woodfire specialists Embla in Melbourne. Hunks of the sourdough are essential for bolstering the seasonal pastas, delicate salads and meat-based dishes like terrine or charcuterie. Of course, the big conversation has been about the hearty plates of slow-cooked cannellini beans that now seem to be compulsory in the venue. I’ll testify, they’re delicious. There is a keen focus on wines from natural producers, of outstanding provenance. Organic viticulture underpins every producer on the wine list, with no compromise. With an easily appreciated atmosphere – imagine sitting streetside, lazily sipping unique drops, rare allocations, and small batch releases – I know I’ll be back as soon as possible. Top Drinks: 2017 Hervé Villemade Les Ardilles – A succulent and fine-boned wine from the Loire Valley, produced unusually from mostly pinot noir with some gamay. 2016 Cantina Giardino Metodo Olimpia – A lightly fizzy amber wine produced from the grape variety greco, it’s a chewy-textured, electric-feeling wine of unique citrus and spice characters. 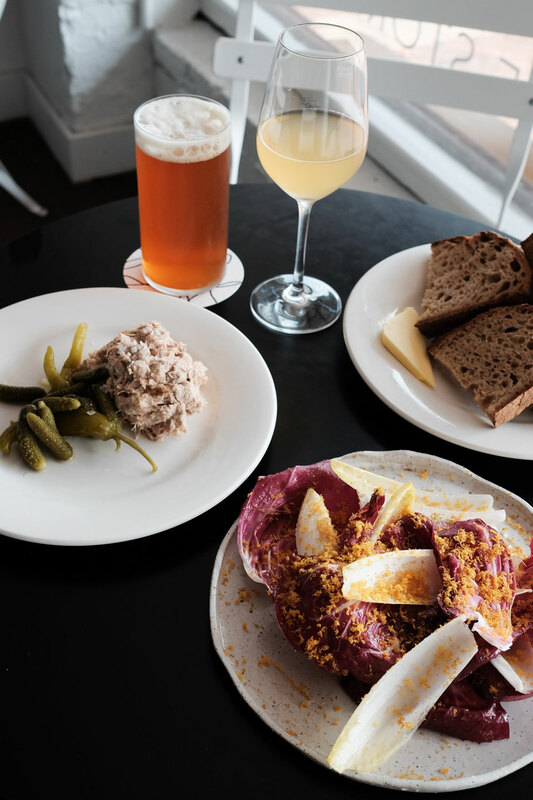 Drink + Food Match: The small snack plates – think anchovies, an exceptional salumi, a distinct cheese – seem destined for the ultra-versatile, refreshing nature of Sam Vinciullo’s Red/White blend. Best Dish: The expectation is to say the cannellini beans, but I’m going with a pasta. The paccarielli rigate with peas and mint was a standout. Armed with some of the state’s best wine practitioners including the amazing Emma Farrelly, this is an outstanding outpost for local and international wines. The main dining and drinking area is great, but the Wine Store provides a cosier space to enjoy a drink. 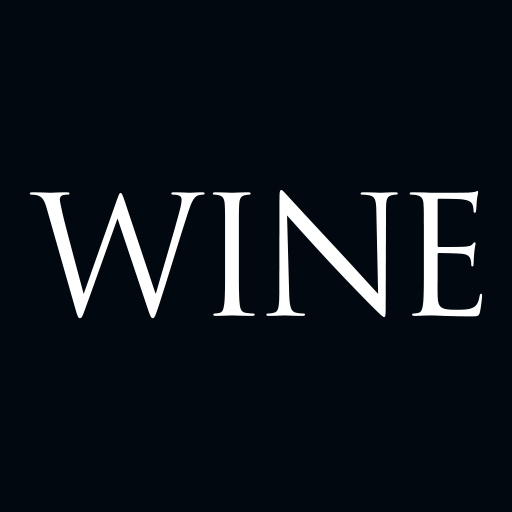 Hassle wine doyen Jeremy Prus for his latest, best wines. Some real firepower in the staff here coupled with an inviting space. The wine and drinks list is always interesting and the joint rocks at night.